UPDATE 2/10/16: NASA officials do not believe a meteorite killed a man in India this weekend, the New York Times reports. According to NASA, the images of a “crater” posted online are more consistent with a land-based explosion. An Indian investigation of rocks recovered from the site is still ongoing. Still, a report by the National Resource Council estimates that there should be approximately 91 meteorite-related fatalities every year. Perhaps many meteoric deaths have simply gone unreported—a possibility supported by the fact that historic records are very sparse before the 19th century. But based on records compiled by Harvard’s International Comet Quarterly, it’s clear there have been close calls over the past 200 years. These include a—later disputed—report of an Indian man getting killed by a meteorite in 1825; another case of an Indian man getting struck in the arm by a space rock in 1827; and many instances of meteorites smashing through people’s roofs or hitting their cars. A (possibly apocryphal) report declares that a meteorite struck a house in China in 1907, causing it to collapse and killing the family inside. In 1915, another report claims that a meteorite tore off a Chinese woman’s arm. With animals, we have a few solid reports of death-by-meteorite, including a horse that was struck and killed in New Concord, Ohio in 1860, and a dog that had the misfortune of getting walloped during a meteorite shower over Nakhla, Egypt, in 1911. While we wait for the Indian authorities to confirm or deny the report, I’ll leave you with one final morbid tidbit to chew on. Harris’ calculations show that while a massive, Armageddon-style meteorite impact is much less likely than a small impact, the chances of being killed by the former and the latter are about equal. 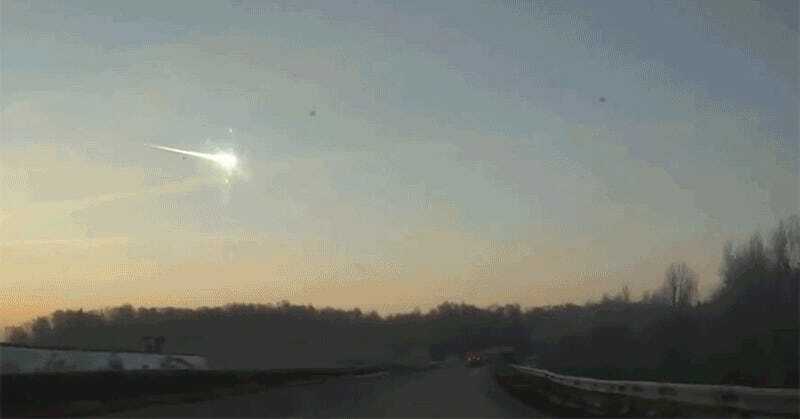 So, while there may be no confirmed deaths-by-meteorite yet, odds are about 50-50 that if you get struck and killed by a meteorite, 7 billion other people are going out with you.